I just wanted to pass on my thanks to the young gentleman who serviced my air conditioner. He was very thorough and professional and happily answered all my questions. This was a very positive experience and I wanted to commend him to his work place. Just wanted to express a Big Thank You to Chad who carried out the repairs to our unit last week. This guy really impressed us and his knowledge and professional approach to our problems. It would be remiss of us to fail to express our sincere thanks for service this young man delivered. 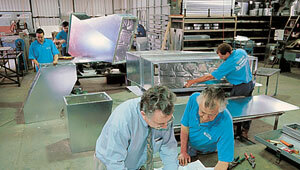 He is a great technician and represented your company very well. 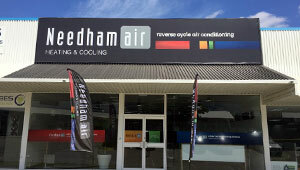 We have been using Needhamair for over 5 years now. They installed a system into our last house, which worked perfectly and we had their service department perform a couple of services for us as well post install, and they were always prompt and efficient. We just moved house and had the service department come out to clean the system for us, and they also identified that the air flow was unbalanced, so they completely rebalanced everything, and now we're finding the temperature control is much more even. It wasn't even a brand that Needhamair sell, yet they were able to identify someone else's install mistakes and rectify them for us, which should save us money in the long run on our running costs and prolong the longevity of the system - thanks guys! Can you please put on my file that I request the fellow who serviced my A/C today to be the person that does it in the future. It is the second time he has been to my house and he is both an excellent tradesman and his customer service is terrific. I am a retail recruiter and trainer and appreciate good service. Please pass my comments onto the management.